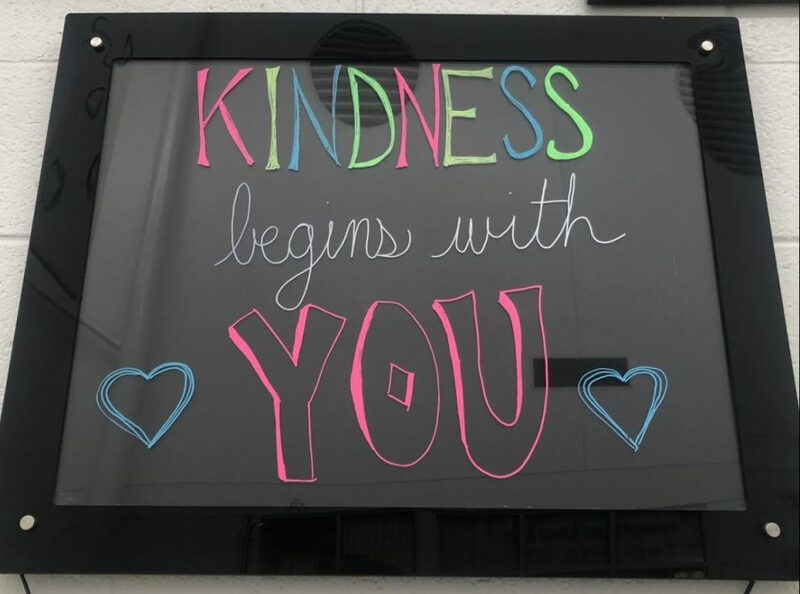 According to the sign posted outside the Guidance Office, "kindness begins with you." Dedicated to spreading kindness and morale at school, students and adviser Jack Wheeler decided it was time for a new club. “I think having a club for spreading positivity is such an amazing idea and a great way to lift people up,” said senior Kaitlyn Lyons. The club was originally created in January of 2018 by an old dolphin who is no longer a part of our school, Bailey Nelson, and Natalie Pietrzak. “I created the club after I heard about a recent suicide in one of the Virginia Beach Public Schools due to bullying; I thought a club could help Ocean Lakes by spreading random acts of kindness,” said Bailey. “I believe part of Bailey’s motivation was to create a positive atmosphere partly because of negativity within the school and on social media,” said Wheeler. Wheeler plans to have a meeting with the club on April 10 and hopes new members will participate and make the school a more positive and welcoming environment. “The Kindness Club is a great way to make students feel like they have a purpose,” said senior Haley Vigaritto.